Well, I've watched almost every match of the group stages (except where there were 2 matches on at the same time) and there's been some shockers. I'm an England supporter, but I wonder if they'll make it much further. They haven't played that well and, in my opinion, aren't that deserving of their place in the current round of 16. I think England's problem is they go into matches with the attitude that they can't be beaten, when that, as we have seen, is so far from the truth. Croatia have played really well, I fancied them as an outsider chance right from before the start of the tournament. They play Portugal next, and the way Portugal have played in the tournament so far, I don't think they stand much chance of progressing against a very well playing Croatian team. I predict Croatia 2-1 Portugal. A bit of a mean draw is between Wales and Northern Ireland. These are both teams that have played their hearts out and really deserve their places in the round of 16 and it'll be shame that it'll be one of the home nations that has to knock the other home nation out. I'm pretty sure Wales will win, but Northern Ireland won't go down without a good fight (obviously not literally!). I predict Wales 2-1 Northern Ireland. I'm currently watch the Switzerland vs Poland match. Before it, I thought Poland would win, but Switzerland are playing really well. And what an equaliser from Xherdan Shaqiri for Switzerland! Extra team, saw some very nearly settlers, but now onto penalties. Such a sorry way to end a match... Good luck to both! I predicted Switzerland 1-2 Poland. Tomorrow sees France vs Ireland. France are heavy favourites and they have the advantage of being the home team, but Ireland have played well so far and if they give it their all as they always do, they might have a small chance of progressing. France have not been outstanding so far in this tournament in my opinion. 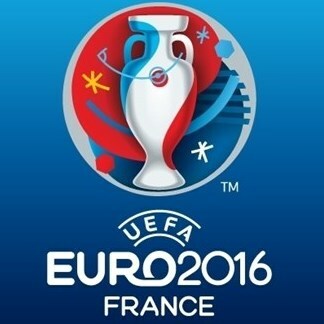 I predict France 1-1 Ireland and France to win on penalties. Germany have been playing well and should see easy progression against Slovakia to the next round I reckon. I'd like to Ozil get a goal in the match and maybe Gotze too... I predict Germany 3-1 Slovakia. Hungary against Belgium is by no means and easy to pick one in my opinion. Despite Belgium being the heavy favourites, Hungary have been playing exceptionally well and aren't going to let the tournament pass them by with ease. I predict Hungary 1-2 Belgium. Italy vs Spain is surely going to be a very interesting game. Spain are favourites, but I like Italy to win myself. They've played really well with the exception of the game against Ireland. Again, they are another of my outsider favourites. Spain do have a very good chance, but it's no certainty at all... I predict Italy 1-2 Spain. And last, but not least, it England against Iceland. I *want* England to win, but I don't know that they will. They have quality players, but they are not playing like a winning team so far in the tournament. Iceland, however, are playing excellently. A team of mostly unknowns and they are doing so well and they are playing like they really want it. I could actually picture them taking the win. They're certainly not going to give it away easily and England can't go into the match with the mental attitude that they will win the match because they've got a poor team to play against. This will be a very interesting match! I predict England 1-2 Iceland.